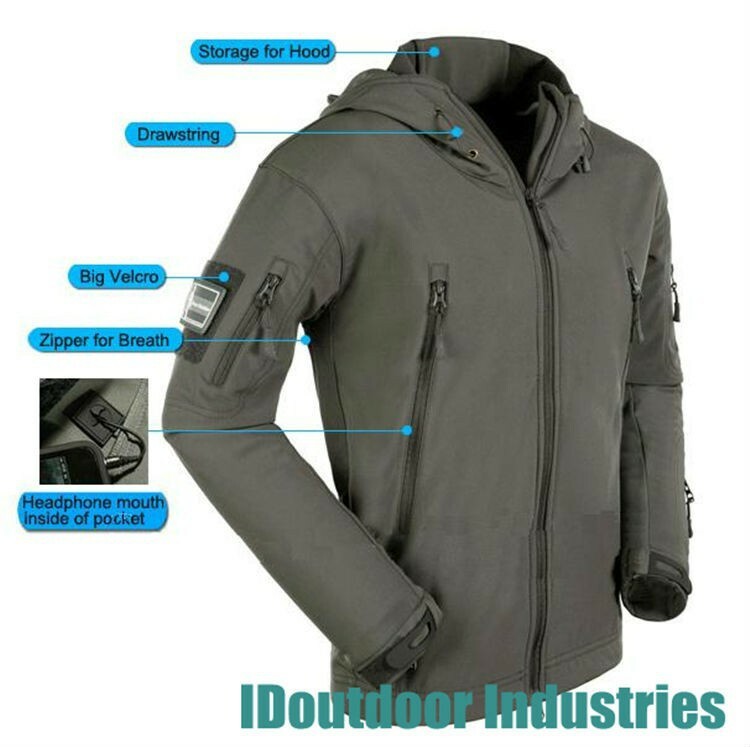 This high quality waterproof and wind resistant tactical jacket is perfect for hunting, fishing, camping, hiking, camping, mountaineering and all other outdoor activities. 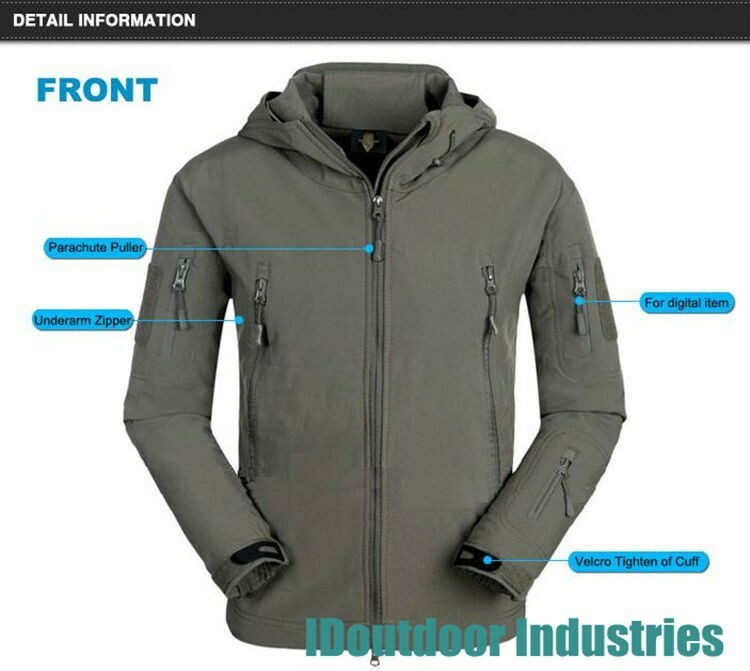 You won't find a nicer jacket than this at anywhere near this price! 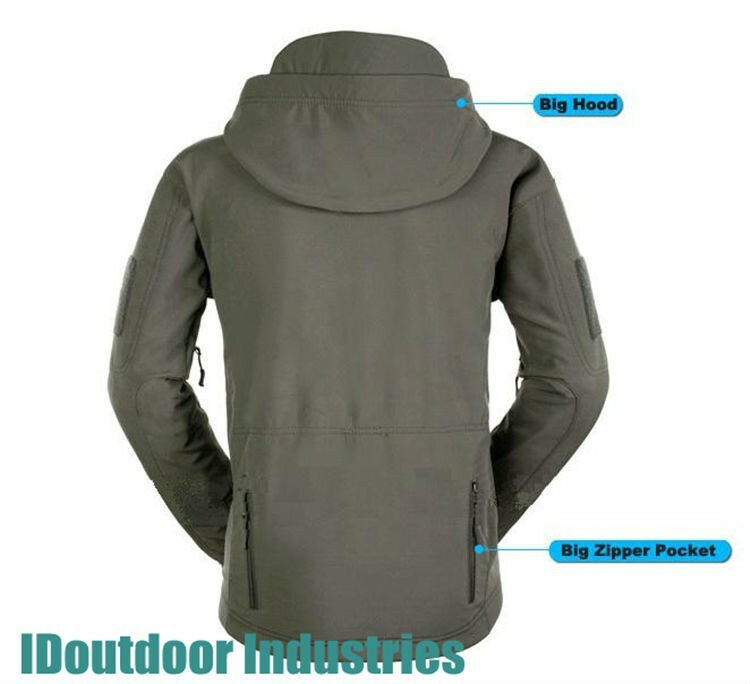 Drawstring waist and hood, adjustable wrist cuffs.